Following President Trump’s State of the Union address on January 30th, the Autism Society Public Policy and Advocacy Newsletter wrote about their concerns regarding the President’s failure to mention any policy initiatives for people with autism and other disabilities in terms of housing, education, employment and other supports. 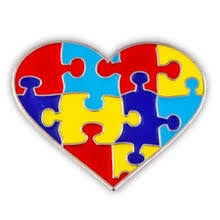 Members of the Autism Society fervently hope the President will include aid for job training, family supports, and health care for these citizens in the upcoming government budget, which is scheduled to be released to the public in a few weeks. The newsletter included an alarming proposal from the Center for Medicare and Medicaid (CMS), which called for reducing penalties for nursing home violations of health and safety standards. Although President Trump is trying to reduce the government budget in an effort to cut taxes and boost the economy, he cannot sacrifice the needs of the country’s most helpless and vulnerable citizens. Nobody asks for disabilities and families already struggling to provide for their special needs loved ones do not need additional challenges. If the President is committed to helping families, he ought to include those who must take care of loved ones with special needs as well as those residing in nursing homes.